 ARCH sizes are generally preferred by North American Architects due to their small integer alternating aspect ratios (4:3 and 3:2) which correspond with most computer monitor displays, and the fact that they can a size can be cut in half to produce two sheets of a lower size – two sizes down. Thus, providing an easy opportunity scaling up or down, and printing out of “half size” sheets. ANSI sizes are more frequently used for engineering drawings and technical purposes. One nice thing about the ANSI sizes is that a half size 17×22 set prints our perfectly on regular printer paper (8.5×11). The choice of paper size also often depends on the software used to create the plans. For example Revit’s default size is ANSI D (22×34), whereas AutoDesk’s is ARCH D (24×36). Another paper sizing standard comes from the International Standards Organization (ISO) and is based of metric measurements in series A, B, and C. The A series is by far the most commonly used. We do print quite a lot of “AO” format documents. These document are 841 by 1,189 millimeters (33.1 in × 46.8 in). For A series documents we generally suggest choosing the next size up paper in our standard ARCH and ANSI paper size options. So, for example, for an AO document you would choose our 36″x48″ option. We will default to print-to-scale, so you don’t need to be concerned about the scaling being off. Your drawings or images will be centered on the page and printed to the correct size and scale, unless you instruct us otherwise in the customer notes. 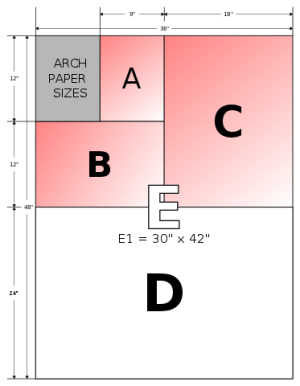 For more information about paper sizing and choosing between ARCH and ANSI drawing sizes, Archinect has a good discussion forum going. AutoCad also has a discussion forum which can help you output your drawings to the desired size PDF. We are also always happy to answer any questions, or help in any way we can. Just give us a call! Matt Mossbarger on What is the best paper and print for construction use? Johnny Boyd on What is the best paper and print for construction use?